Each stage in my life that I’ve overcome is a testimony. So yes, some of the ideas for my health and wellness topics come from experience. God has taken me through some major twists and turns, which forced me to bend and stretch my faith in ways unimaginable as a result of my circumstances. But he has never left me broken. He even let a few people who were dear to me walk out of my life. However with each loss, he has given me a lesson in return. One jewel (lesson) is knowing that when God speaks to your spirit, listen. And listen carefully. After the umpteenth time, I finally listened to the message that he diligently placed in front of me. One of the messages is to change my thinking habits to maintain lasting relationships. Some of us wonder why relationships fail, not realizing that we are the ones responsible for these relationship failures. 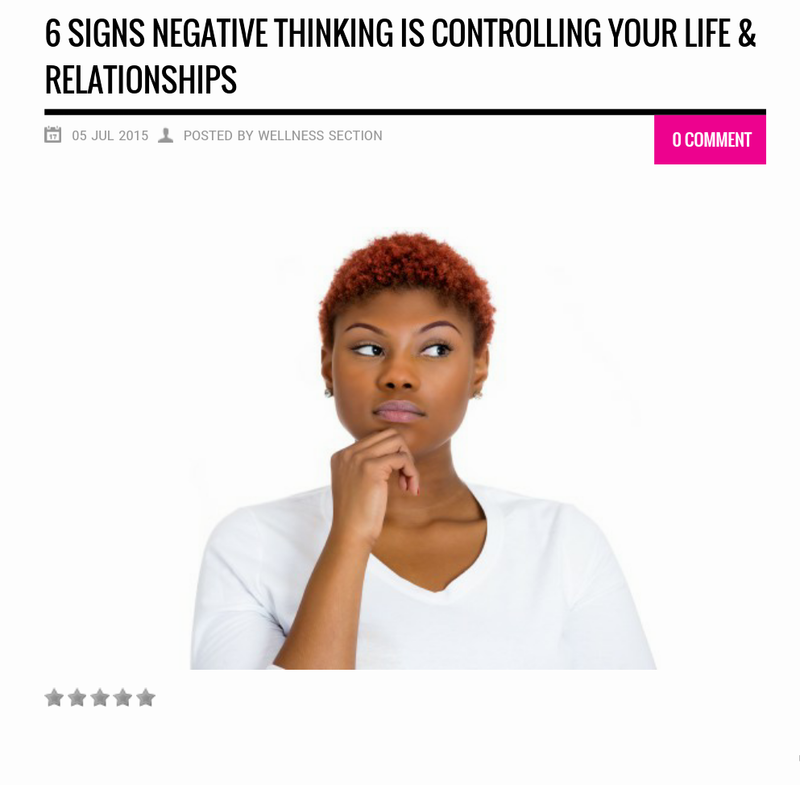 My experiences inspired me to write the following post, 6 Signs Negative Thinking Is Controlling Your life & Relationships. for EGL Magazine’s Health and Wellness section. I thought I’d also update you on my progress in the writing and blogging industry. Please check it out. I look forward to hearing your thoughts. If you enjoyed reading this post, please subscribe to my posts in the health and wellness section of EGL. Next Next post: What Happened To Sandra Bland?